Human input devices are a consumable on our computers today. They are so cheap and standardised, that when a mouse or a keyboard expires we don’t think twice, just throw it away and buy another one. It’ll work for sure with whatever computer we have, and we can keep on without pause. On earlier machines though, we might not be so lucky. The first generation of computers with mice didn’t have USB or even PS/2 or serial, instead they had a wide variety of proprietary mouse interfaces that usually carried the quadrature signals direct from the peripheral’s rotary sensors. If you have a quadrature mouse that dies then you’re in trouble, because you won’t easily find a new one. Fortunately there is a solution. In the intervening decades the price of computing power has fallen to the extent that you can buy a single board computer with far more than enough power to interface with a standard USB mouse and emulate a quadrature mouse all at the same time. This was exactly the solution [Andrew Armstrong] took to provide a replacement mouse for his Atari ST, he used a Raspberry Pi as both USB host and quadrature mouse emulator (YouTube link) through its GPIOs. He’s put together a comprehensive description of his work in the video we’ve placed below the break, meanwhile if you’d like to have a go yourself you’ll find all you need to know in his GitHub repository. Superficially, it is easy to think about converting a 3D printer into a CNC machine. After all, they both do essentially the same thing. They move a tool around in three dimensions. Reducing this to practice, however, is a problem. A CNC tool probably weighs more than a typical hotend. In addition, cutting into solid material generates a lot of torque. [Thomas Sanladerer] knew all this, but wanted to try a conversion anyway. He had a few printers to pick from, and he chose a very sturdy MendelMax 3. He wasn’t sure he’d wind up with a practical machine, but he wanted to do it for the educational value, at least. The result, as you can see in the video below, exceeded his expectations. Video resolution is always on the rise. The days of 640×480 video have given way to 720, 1080, and even 4K resolutions. There’s no end in sight. However, you need a lot of horsepower to process that many pixels. What if you have a small robot powered by a microcontroller (perhaps an Arduino) and you want it to have vision? You can’t realistically process HD video, or even low-grade video with a small processor. CORTEX systems has an open source solution: a 7 pixel camera with an I2C interface. The files for SNAIL Vision include a bill of materials and the PCB layout. There’s software for the Vishay sensors used and provisions for mounting a lens holder to the PCB using glue. The design is fairly simple. In addition to the array of sensors, there’s an I2C multiplexer which also acts as a level shifter and a handful of resistors and connectors. [Tinker_on_Steroids] made some awesome looking spinners that not only light up when spun but are a really professional looking build on their own. Before we’d watched his assembly video we were sure he’d just added on to something he’d bought, but it turned out it’s all custom designed and made. In case you’ve never played the old arcade games, a spinner is an input device for games such as Tempest or Breakout where you rotate a knob in either direction to tell the game which way and how fast to move something. In Tempest you rotate something around the middle of the screen whereas in Breakout you move a paddle back and forth across the bottom of the playing field. The US National Highway Traffic Safety Administration (NHTSA) report on the May 2016 fatal accident in Florida involving a Tesla Model S in Autopilot mode just came out (PDF). The verdict? “the Automatic Emergency Braking (AEB) system did not provide any warning or automated braking for the collision event, and the driver took no braking, steering, or other actions to avoid the collision.” The accident was a result of the driver’s misuse of the technology. This places no blame on Tesla because the system was simply not designed to handle obstacles travelling at 90 degrees to the car. Because the truck that the Tesla plowed into was sideways to the car, “the target image (side of a tractor trailer) … would not be a “true” target in the EyeQ3 vision system dataset.” Other situations that are outside of the scope of the current state of technology include cut-ins, cut-outs, and crossing path collisions. In short, the Tesla helps prevent rear-end collisions with the car in front of it, but has limited side vision. The driver should have known this. The NHTSA report concludes that “Advanced Driver Assistance Systems … require the continual and full attention of the driver to monitor the traffic environment and be prepared to take action to avoid crashes.” The report also mentions the recent (post-Florida) additions to Tesla’s Autopilot that help make sure that the driver is in the loop. There are other details that make the report worth reading if, like us, you would like to see some more data about how self-driving cars actually perform on the road. On one hand, Tesla’s Autosteer function seems to have reduced the rate at which their cars got into crashes. 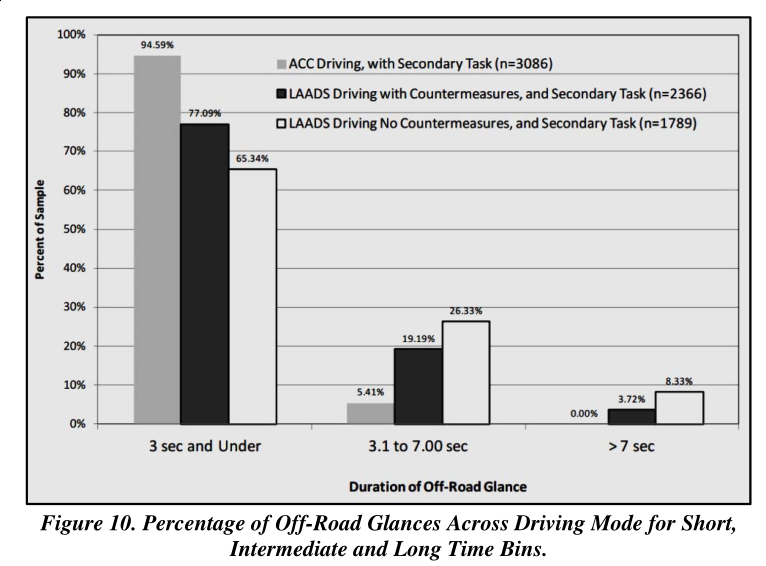 On the other, increasing use of the driving assistance functions comes with an increase driver inattention for durations of three seconds or longer. People simply think that the Autopilot should do more than it actually does. Per the report, this problem of “driver misuse in the context of semi-autonomous vehicles is an emerging issue.” Whether technology will improve fast enough to protect us from ourselves is an open question. Hackaday is primarily a place for electronics hackers, but that’s not to say that we don’t see a fair number of projects where woodworking plays a key role. Magic mirror builds come to mind, as do restorations of antique radios, arcade machines built into coffee tables, and small cases for all manner of electronic and mechanical gadgets. In some of these projects, the woodworking really shines and makes the finished project pop. In others — well, let’s just say that some woodwork looks good from far, but is far from good. Hackers’ perspiration may go into soldering, coding, and building. For many of us, the inspiration for these projects comes from science fiction. The books, movies, TV shows, short stories, and comics we all grew up on, and continue to devour to this day. We’re paying homage to all these great Sci-Fi stories with our latest contest. The Sci-Fi Contest isn’t about the most efficient way of building a 555 circuit or the tightest code. This one is about celebrating science fiction in the best way we know how — building awesome projects. This is Hackaday, so you’re going to have to use some form of working electronics in your entry. Beyond that, it’s up to you. Bring us your Overwatch cosplays, your Trek Tricorders, your Star Wars pod racers. This isn’t our first Sci-Fi contest. In fact, Sci-Fi was one of Hackaday.io’s first contests way back in 2014. 3 years and over 100,000 new hackers later, it’s time to take a fresh look at what you all have been up to. Projects that were entered in the first Sci-Fi contest are eligible, but you need to create a new project page and do some new work. Check the rules for the full details. Once you’ve published a project use the drop-down menu on the left sidebar to enter it in the Hackaday Sci-Fi Contest. Grand Prize is a Rigol DS1054Z 4 Channel 50 MHz scope. Third Prize is Lego’s latest rendition of the Millennium Falcon. The deadline is Monday, March 6, 2017, 09:00 pm PST (+8 UTC), so don’t waste time! Warm up your soldering irons, spin up your warp drives, and create something awesome!